See the 2018 schedule for dates of walks in Isleworth. 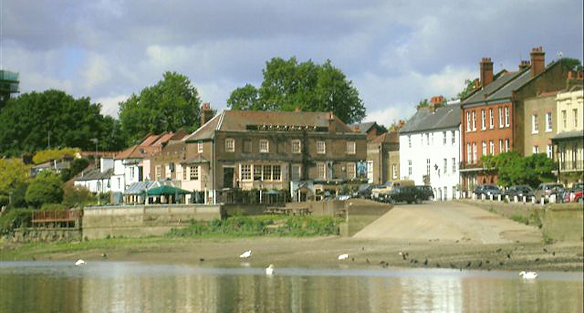 Taking in magnificent Thames views, a man-made river created in Tudor times; dwellings built in Charles II’s reign, the site of the pottery, and a one time home of landscape painter J.M.W. Turner. As an added incentive, teas are available at All Saints Church to round off the walk. Hear of benefactors who left money to feed the poor, a pauper who merited a marked grave. This tour contrasts a grand house once part of the workhouse and conditions in that institution. The tour finishes at a modern hospital exhibiting memorabilia of the past, and a café.